I'm done. I'm finished. The mission has been completed. I'll tell you all about it soon enough, but for now, I'd like to share the last thing I wrote in the dissertation. One of the proposed revisions my external reader recommended was an appendix of primary sources essential to literary steampunk studies. I compiled this list based largely upon the popularity of these texts, not necessarily their scholarly or literary merit. While Dexter Palmer’s The Dream of Perpetual Motion might be more conducive to ostensibly serious textual rigour, its influence on the steampunk aesthetic is marginal. After reading over sixty steampunk novels, these are the ones I'd say are must-haves for literary studies in steampunk. There are many other works that are brilliant, or that address certain facets of the steampunk aesthetic, but in answer to the question "Where do I start?" this is what I'd reply. 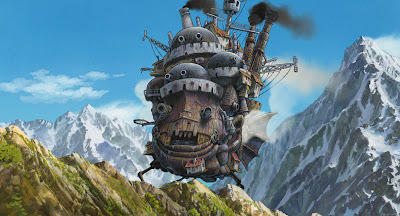 This is not my list of favourites, but rather a list of the books you need to be reading if you want to be talking about steampunk with any sort of authority. 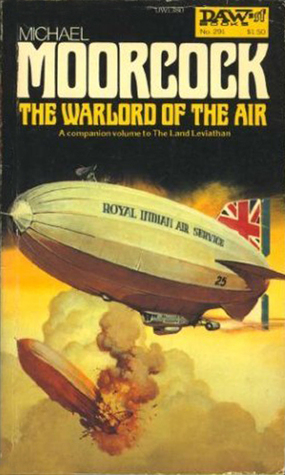 Warlord of the Air by Michael Moorcock (1971): This is widely considered a seminal work of steampunk, and is often cited for its political subtext. It is still in print in an omnibus edition from White Wolf Publishing. The omnibus includes the sequels to Warlord. 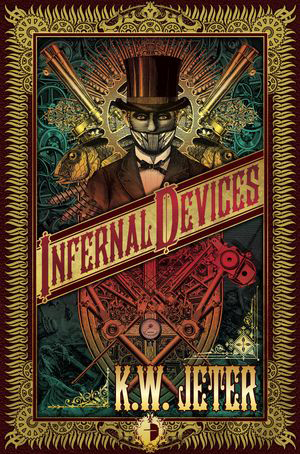 Infernal Devices/Morlock Night omnibus by K.W. Jeter (2011): Angry Robot books released both of Jeter’s first steampunk works in an omnibus that includes a new foreword by Jeter, and an afterword by Jeff Vandermeer, co-editor of the first steampunk anthology and The Steampunk Bible. 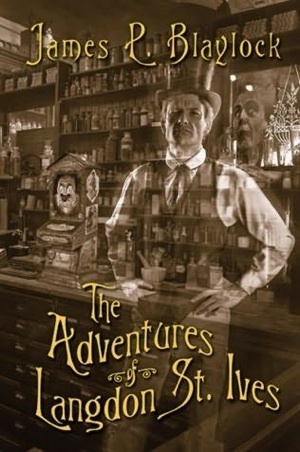 The Adventures of Langdon St. Ives omnibus by James P. Blaylock (2008): While this edition from Subterranean Press is now out-of-print, it is the only comprehensive collection of Blaylock’s early steampunk writing, both short stories and longer works. Titan Books is reprinting Homunculus and Lord Kelvin’s Machine in 2013, for those who cannot locate a used copy of this collection. You'll be missing out though, both on the never-before-in-print "Hole in Space," and Blaylock's afterword. 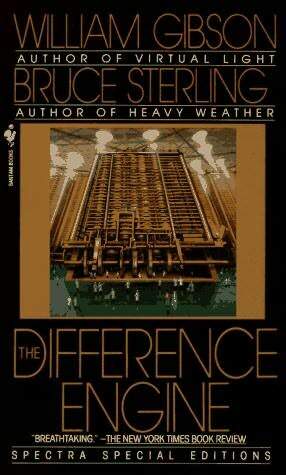 The Difference Engine by William Gibson and Bruce Sterling (1991): No discussion of steampunk can be considered complete without some mention of this novel. While it is not widely appreciated due to its difficult nature, it remains one of the best-known early steampunk books. 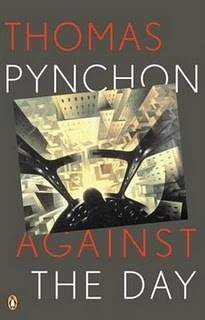 Against the Day by Thomas Pynchon (2006): While Pynchon’s epic novel contains many other styles of narratives, the adventures of the Chums of Chance clearly owe a debt to the steampunk aesthetic. Those looking for a very serious and dense work of literature to study steampunk through need look no further. That said, it is not widely read within steampunk circles, so should not be part of a literary assessment of steampunk as a popular phenomenon. 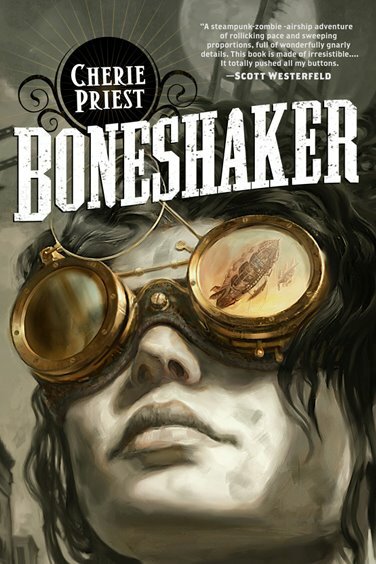 Boneshaker by Cherie Priest (2009): In addition to catalyzing Priest’s career, Boneshaker popularized the genre for readers outside the subculture, and while it was not the first to do so, was arguably the book that reminded fans that steampunk could take place in the American West. 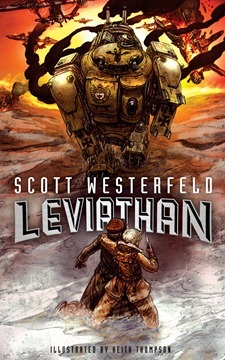 Leviathan by Scott Westerfeld (2009): Along with its sequels, this Young Adult novel is one of the most widely read works of steampunk. While the plot is straightforward, Westerfeld’s technofantasies have a thematic resonance that transcends any formulaic plot elements. 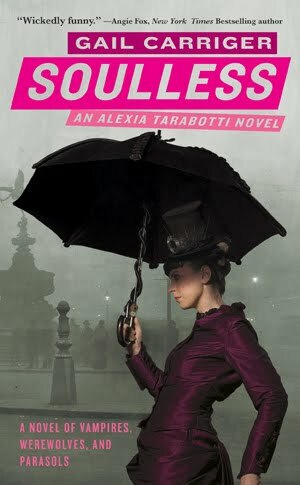 Soulless by Gail Carriger (2009): While it continues to be reviled by critics who hold that steampunk should be serious, the tremendous popularity of Carriger’s Parasol Protectorate series cannot be denied. While I have yet to gather statistics, it is my impression that these books, and this first one in particular, are the most widely read steampunk works in the past five years. 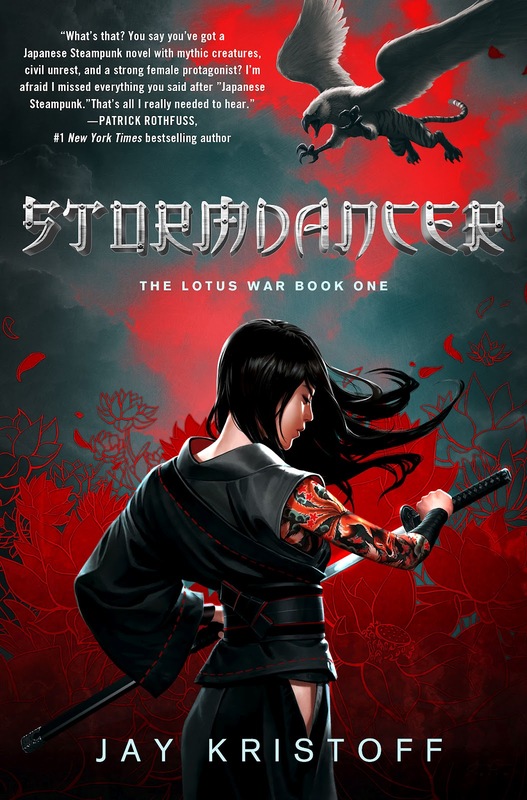 Stormdancer by Jay Kristoff (2012): Since it was released late in the process of writing my dissertation, I was unable to include Kristoff’s first book in the Lotus War series in my discussion of East Asian steampunk and the problem of Victorientalism. Beyond simply being an excellent work of fiction, Kristoff’s Stormdancer provides an interesting secondary steampunk world based on nineteenth-century Japan. 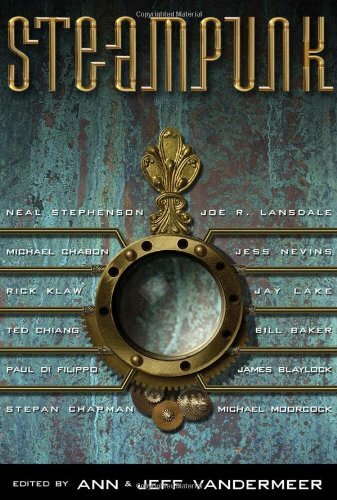 Steampunk, edited by Ann and Jeff Vandermeer (2008): For a study of steampunk before the 2009 boom in popularity, one cannot do better than the first of the Tachyon series of steampunk anthologies. This book includes everything from an excerpt from Moorcock’s Warlord of the Air to short fiction by Jay Lake written in 2007. It’s an excellent resource for someone looking for a survey of steampunk from its first-wave inception to second-wave innovation. I have read four out of ten but I do have Leviathan waiting on the to read shelf. I may have to pick up Stormdancer for that Asian steampunk point of view. Cool list, Mike! I'm curious though; do you think it necessary to have read the classics - Verne, Wells, etc. - to dive headfirst into Steampunk? SteamFord, I think it's important to have a grounding in the classics as well as the nineteenth century itself, but I don't consider either "primary steampunk texts." They can enlarge our understanding of steampunk, but they are not steampunk per se. Further, it's my contention (in agreement with Cory Gross) that the influence of Verne and Wells on steampunk is related more to the VSF films made between 1954 and the late '70s. 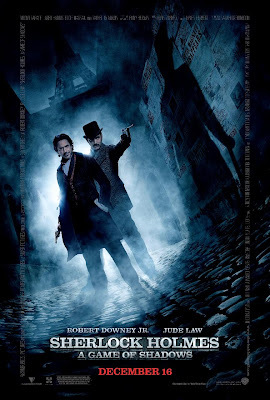 While there are steampunk books that use Verne and Wells as direct inspiration, there are more that seem to use the "idea of Verne and Wells" in the popular imagination. I would compile a separate list with those works on it, just for clarity's sake. But this is more a list for those interested in getting into steampunk, or studying steampunk, who aren't sure where to start. BTW, I have Steaming into a Victorian Future sitting next to me at the moment, and we are "neighbors" in the book . . . It's always good to meet your neighbors! I'm looking forward to reading it all. If we're in the same section, it must mean we wrote on similar ideas, as the editors sure worked hard to give the book thematic cohesion. I'm new to steampunk - well sort of - I'm new to steampunk like Neo was new to the Matrix. I have always like the genre but I just didn't know it had a name. Now that I'm awake to the truth, I can't get enough. In fact, I'm an author and I've been trying to unify my visions for an adventure/supernatural trilogy but couldn't find a genre that encompassed my vision. That was until I found steampunk. Since then I've been reading as much steampunk as I can get my hands on in search of inspiration. With that said, thanks for posting a list of where to start. I have already read Infernal Devices and Boneshaker, though I'm sad to say, I haven't loved either. Nonetheless, I will try to find copies of the others and read them as well. Presently I am working on the classics and am midway through The Time Machine. I realize that Verne, Wells, and even Robert Louis Stevenson are not steampunk in the strictest sense but their books do seem to have all the components of steampunk.